JONESBORO — Gearhead Outfitters hosted its annual Military Gratitude event at The Mall at Turtle Creek. The event allowed members of the community to write letters and donate money and/or toiletries to veterans and active members of the military. At this event, Gearhead and people of the community put together care packages that include toiletries, basic necessities to help the ones who have served or are serving in the armed forces now. Whitney Eldridge, the director of marketing at Gearhead, talked about what they want to do at this event. “Unfortunately, there’s a large homeless population of veterans, so we want to encourage and emotionally support them. We’re so thankful for all of their sacrifice and service,” Eldridge said. Bobby Cornell, the service manager of Gearhead and a former Marine remembers his time being in the armed forces. “Receiving the letters and care packages was like receiving a piece of home, it was awesome,” Cornell said. About 100 people came by the tables during the Nov. 10 event. The team members of Gearhead collected over 600 letters from local schools along with many care packages. 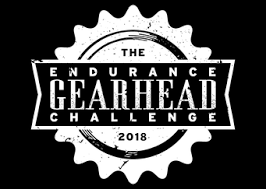 Employees at Gearhead said they are looking forward to helping more veterans and active members again next year.